West Texas Off Road Center | Largest Selection of Truck Accessories from Dallas to El Paso! 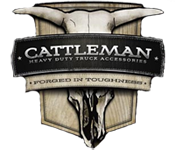 Largest Selection of Truck Accessories from Dallas to El Paso! At West Texas Off Road Center in Odessa, Texas it has always been our mission to provide our customers with only high-quality truck accessories and van storage equipment. West Texas Off Road Center is one of the largest truck accessory product showrooms between Dallas and El Paso. Whether your truck is new and you need to add all the performance accessories or it has a few miles and needs some updating, our 10,000-foot showroom has what you’re looking for. Brands like Weatherguard, Ranch Hand, Cattleman, Go Light, Weathertech, and Reflex just to name a few. From tool boxes to headache racks, nerf bars to bed covers to spotlights, trailer hitches and truck and van storage solutions West Texas Off Road sells it all. Our 10,000 Sq.Ft. Showroom Has What You Need When You Need It! West Texas Off Road knows the best brands for the make of your truck. You can shop with confidence knowing WTOR has been serving the Permian Basin since 1976. We’ve served oilfield fleet vehicles during all the booms and busts! Our in-store experts are waiting to help you with any questions you may have about the best accessories to make your truck work for you! REMEMBER, IF WE SELL IT — WE INSTALL IT! Since West Texas Off Road has been around since 1976 we know our products and have been trained to install every brand product in stock. If we sell it …. WE INSTALL IT. Your satisfaction is our main goal. Contact us with any questions you may have. It’s service after the sell that sets us apart from the rest. If it’s not right, we’ll make it right.